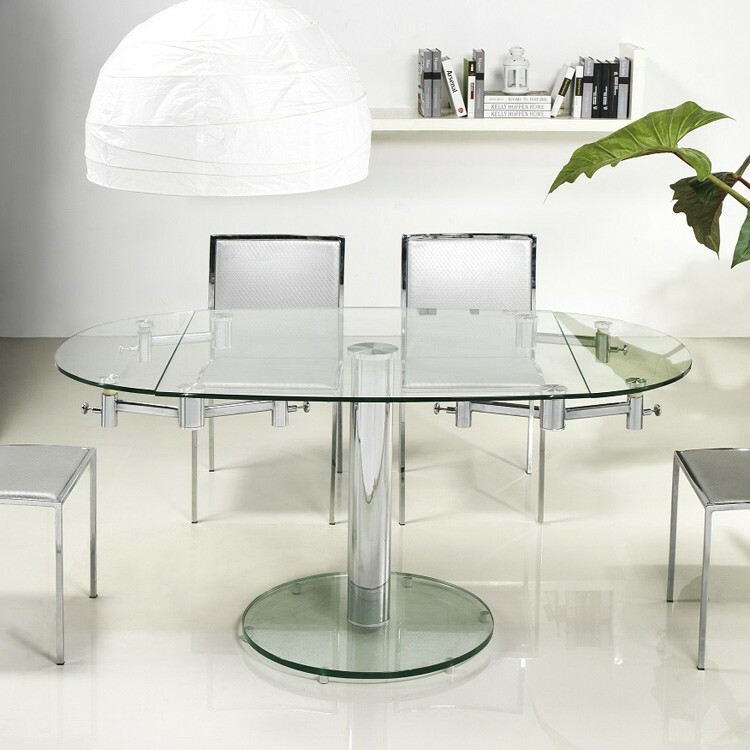 A unique modern dining table with a rectangular transparent glass top (tempered, 1/2 inch thick) that transforms into an oval dining table thanks to 2 extension leaves. 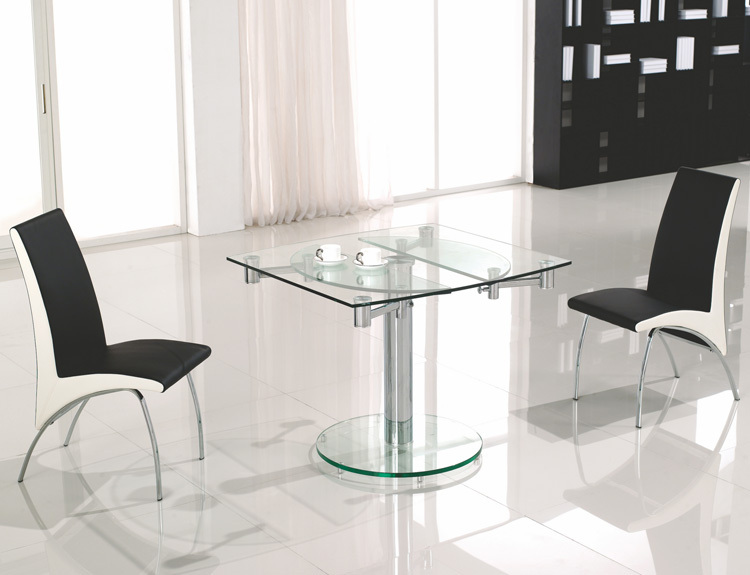 A smooth extending mechanism raises the leaves from beneath the glass top into place. 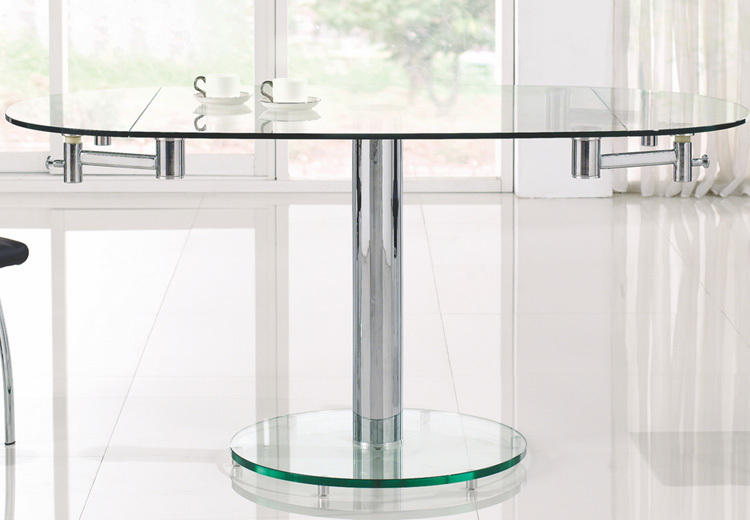 Chromed metal stem and mechanism, tempered round glass base. 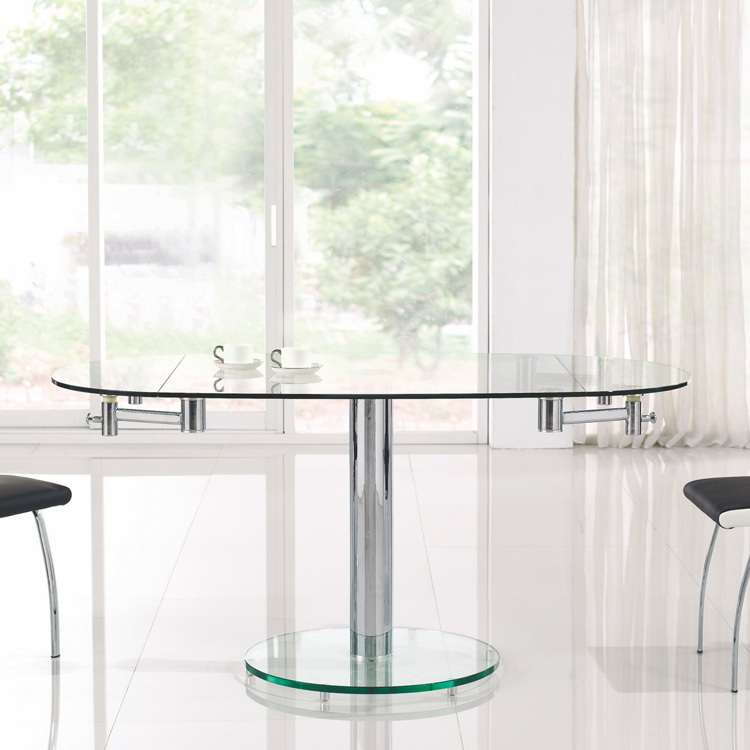 Each extension leaf can be opened independently.